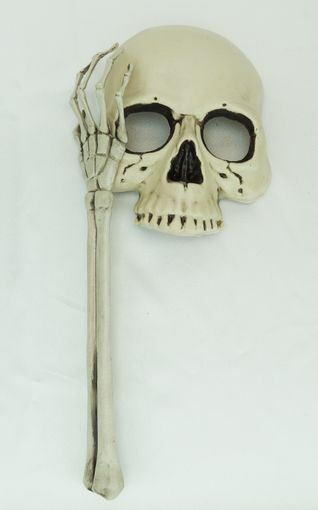 This skull stick mask is accented with a bone handle. Great for any haunted costume. Size 16.5"